The Nelson will not share your information for marketing purposes with companies outside the Buddy Good Pub Co Ltd. Co. Reg. No. 10950542. We would like to send you information about products and services of ours and other companies in our group which may be of interest to you. If you have consented to receive marketing, you may opt out at a later date. 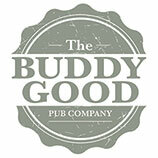 You have a right at any time to stop us from contacting you for marketing purposes or giving your information to other members of the Buddy Good Pub Co Ltd. Co. Reg. No. 10950542. If you no longer wish to be contacted for marketing purposes, please click here. You have the right to request a copy of the information that we hold about you. If you would like a copy of some or all of your personal information, please email info@lordnelsonpubandkitchen.co.uk or write to us at the following address. We may make a small charge for this service.